One of the much-debated yet virtually universal axioms of EDC philosophy is that you need at least two items in your EDC kit: a flashlight and a knife. 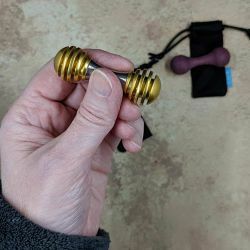 While some prefer or even need to carry flashlights and/or knifes that are on the more powerful or larger end of the product spectrum, there are some (likely many) who done need or just cannot effectively a higher level of bulk or weight. 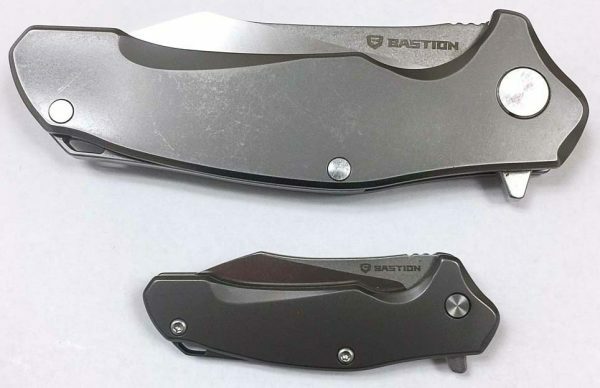 While I think I have found the perfect EDC light for me, the Lumintop Tool AAA flashlight, the perfect knife had been eluding me until I stumbled upon the Bastion Braza Bro EDC folding mini-knife crowdfunded Kickstarter campaign. 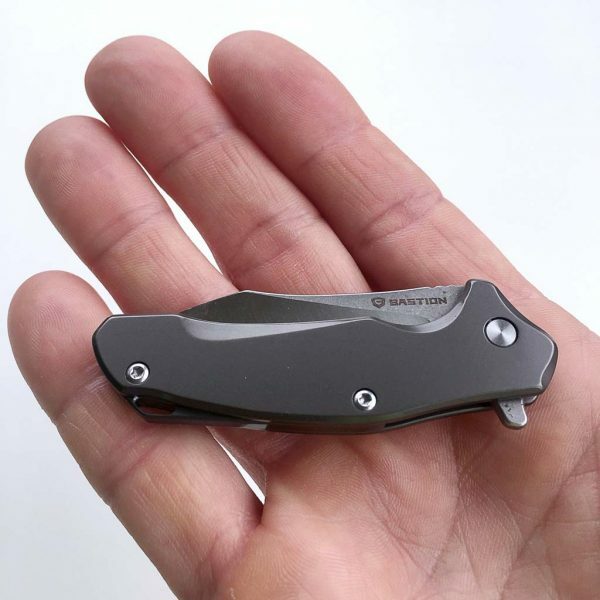 This little giant is small but very functionally packed with just about every feature I’d been wanting in a small EDC knife. Let’s check it out! Gadget on! Bastion designed their Braza Bro to be a “little brother” version of their larger Braza EDC folding knife. 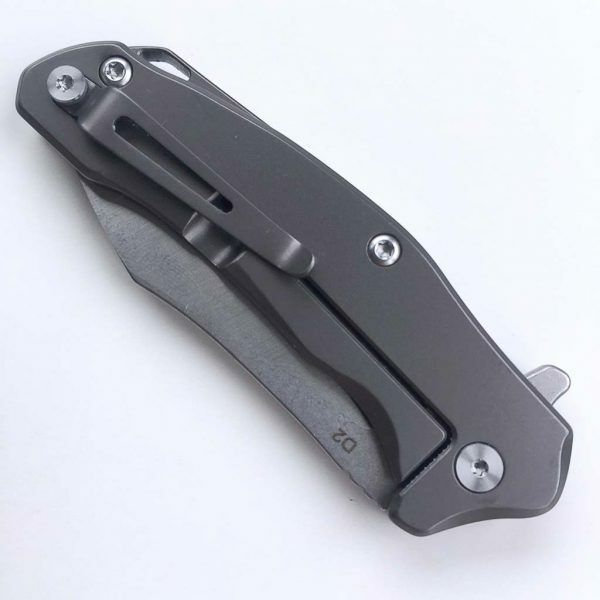 Translation: the Braza Bro is smaller, lighter, and less expensive, but retains virtually all of the functionality of its larger sibling, such as flipper deployment, a frame lock, pocket clip, other features. Let’s start with the packaging itself, seen in the two images above. 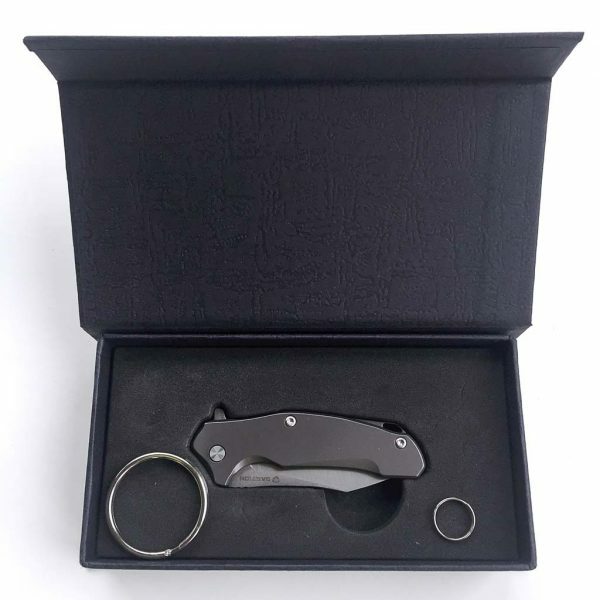 The box is a clamshell style with magnetic lip closure and inside includes a foam tray with cutout for the Braza Bro. 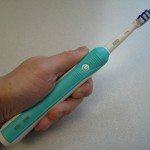 The Braza Bro was one of those items that immediately felt and looked high-quality right out of its box. 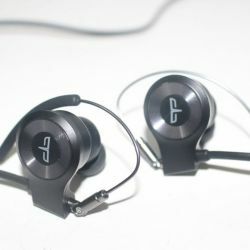 It actually looked and felt even more impressive than I expected from the pics and videos in its Kickstarter campaign. 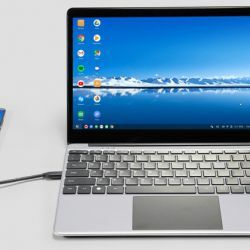 Its Titanium-coated stainless steel frame looks and feels very solid. 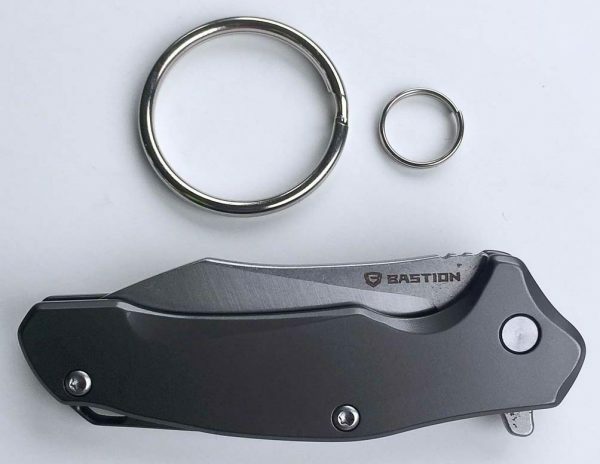 I was stoked to try the Braza Bro out and immediately began playing around with it. 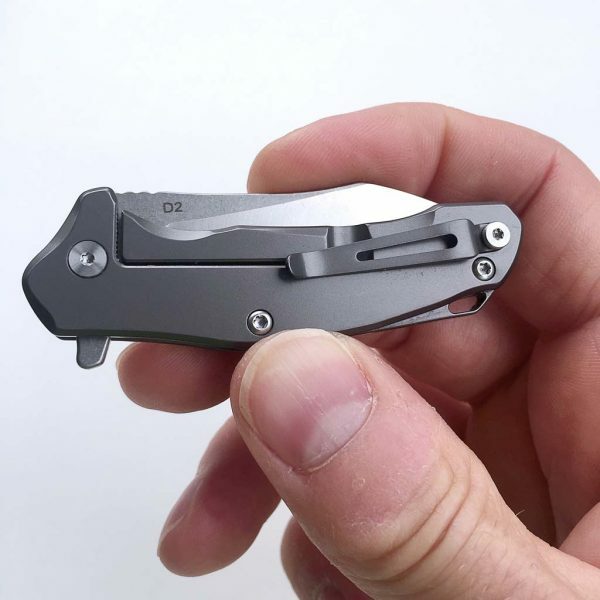 I was impressed with its small but functional pocket clip, a feature that I was especially happy that it had. The Braza Bro is not only small in a footprint (length and width sense), it is also quite slim (in a thickness sense), as seen in the images above and below. 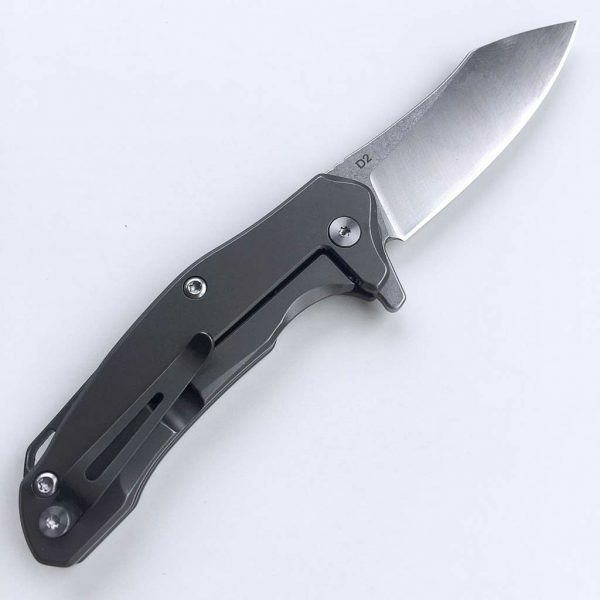 I especially liked this as well, as it cuts down on the knife’s bulkiness, which helps make this a much more effective EDC knife for me. 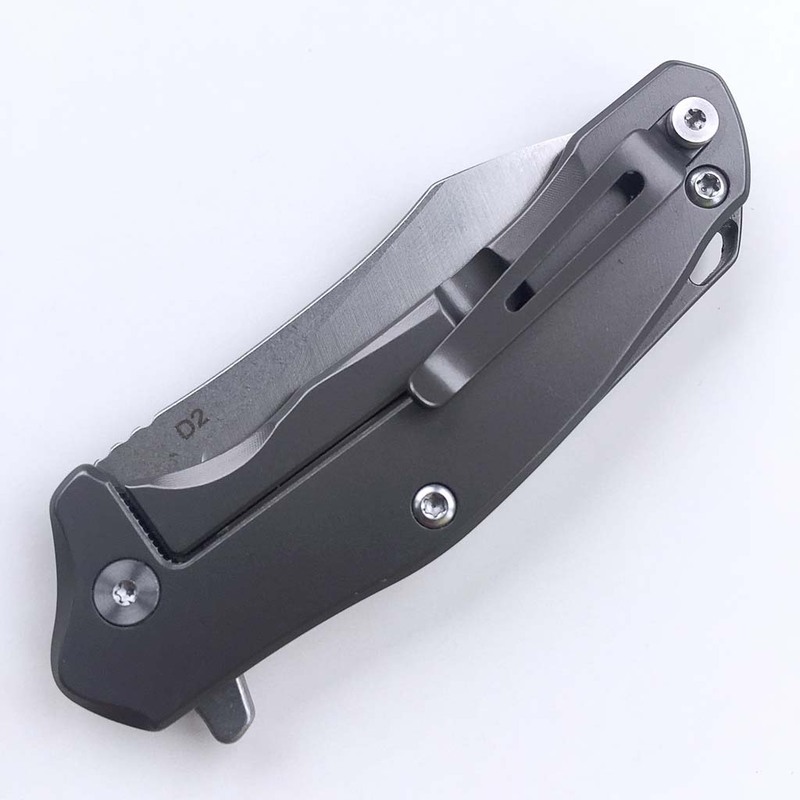 The Braza Bro utilizes tiny stainless steel Torx head screws to secure its frame together, as seen above. 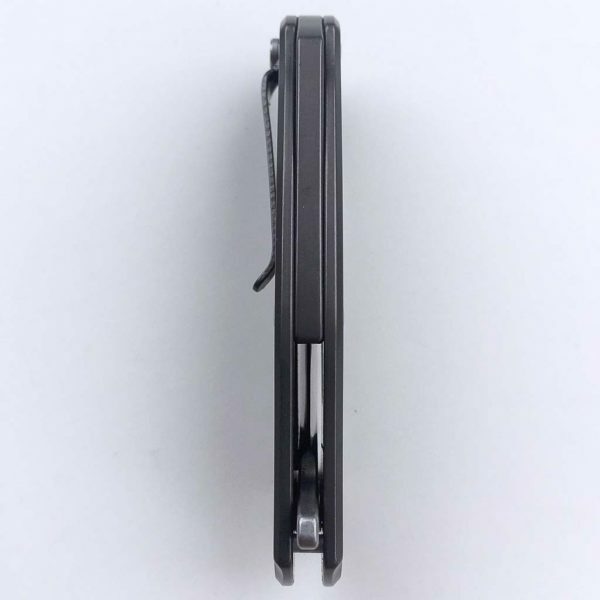 While Torx drivers are not exactly easy to find, they are available, and if you had to disassemble the Braza Bro, it could be done. 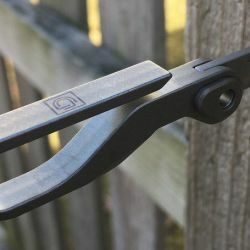 Additionally, Braza Bro includes a small loop built directly into its frame, that can be used to attach either of the split rings include with it, as well as 550 paracord or other items that can be used to attach and secure Braza Bro. 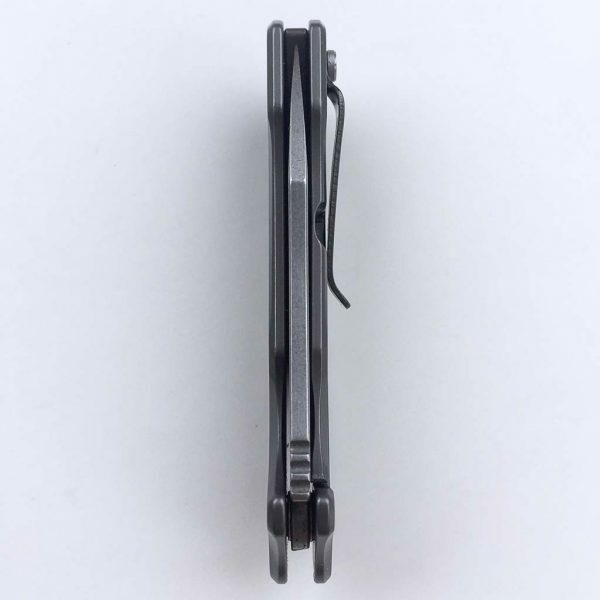 As mentioned further above, the Braza Bro has a small but very solid and functional pocket clip. 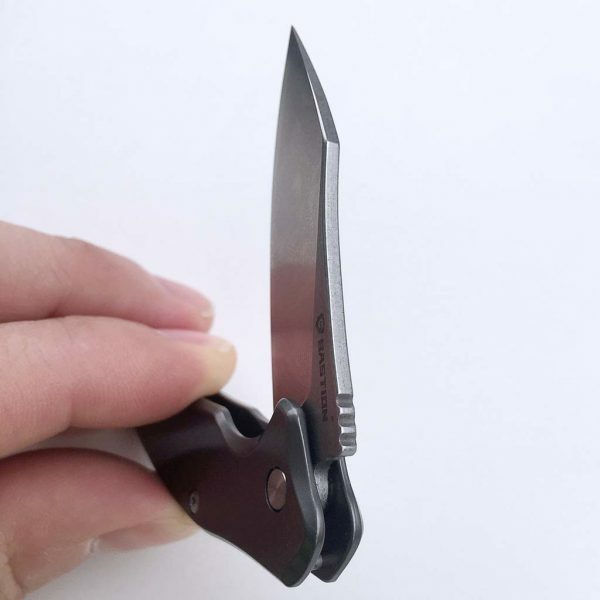 Again, it is secured with a small Torx screw, so the clip could be removed if desired, though the clip is such a low-profile shape and size that I can’t see a reason to do so. Above and below, I’m including several images of the Braza Bro from various angles and positions to showcase its styling, but the images don’t really do it justice. 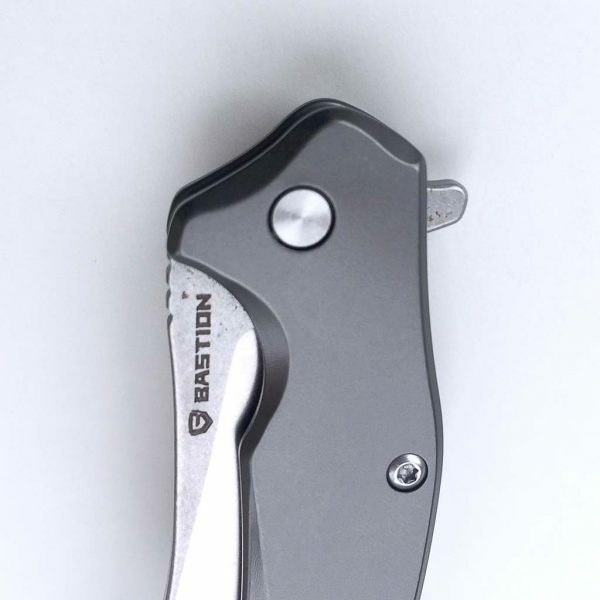 In the image above the Braza Bro’s frame lock mechanism can be seen. 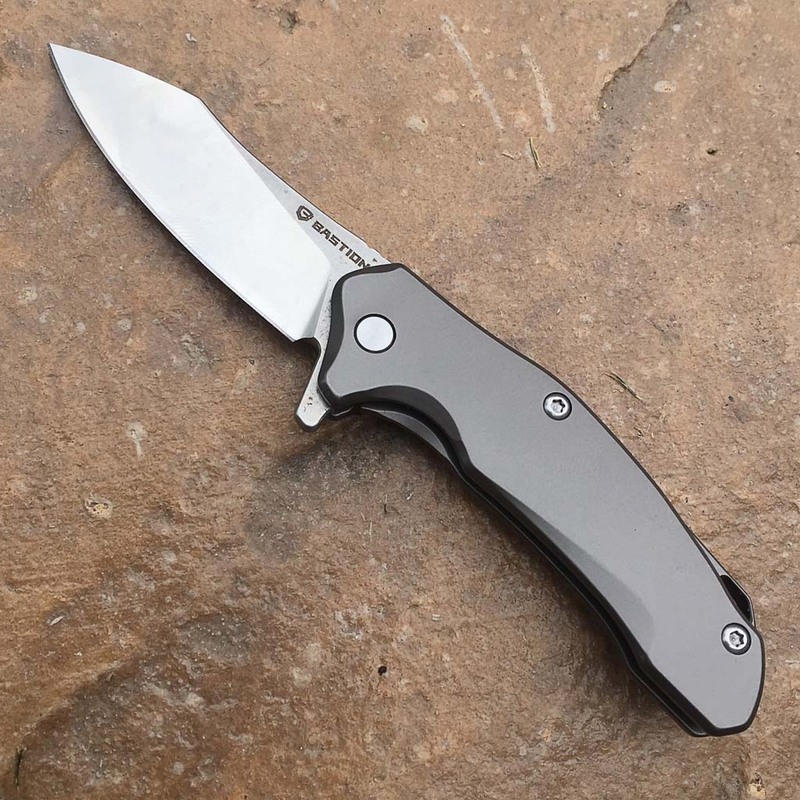 Like most folding knives today, the frame lock is a feature that “locks out” the blade into a fixed position, thereby effectively turning it into a fixed blade knife and preventing the bland from closing accidentally. 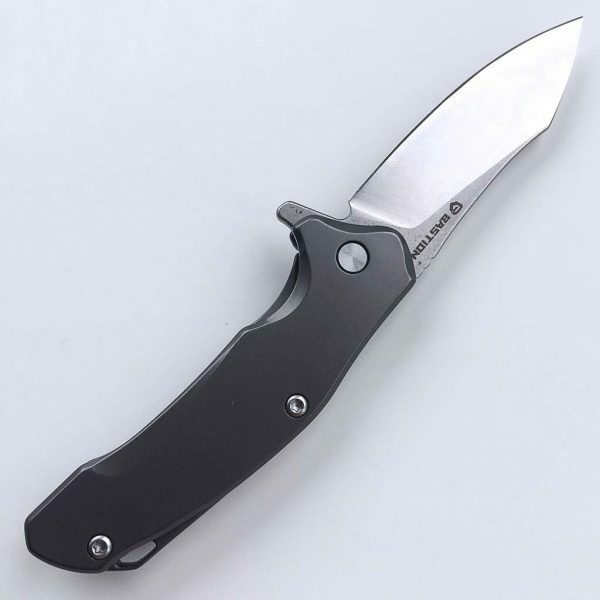 The frame lock is disengaged by pressing it slightly outward, allowing the blade to be folded back into the frame. 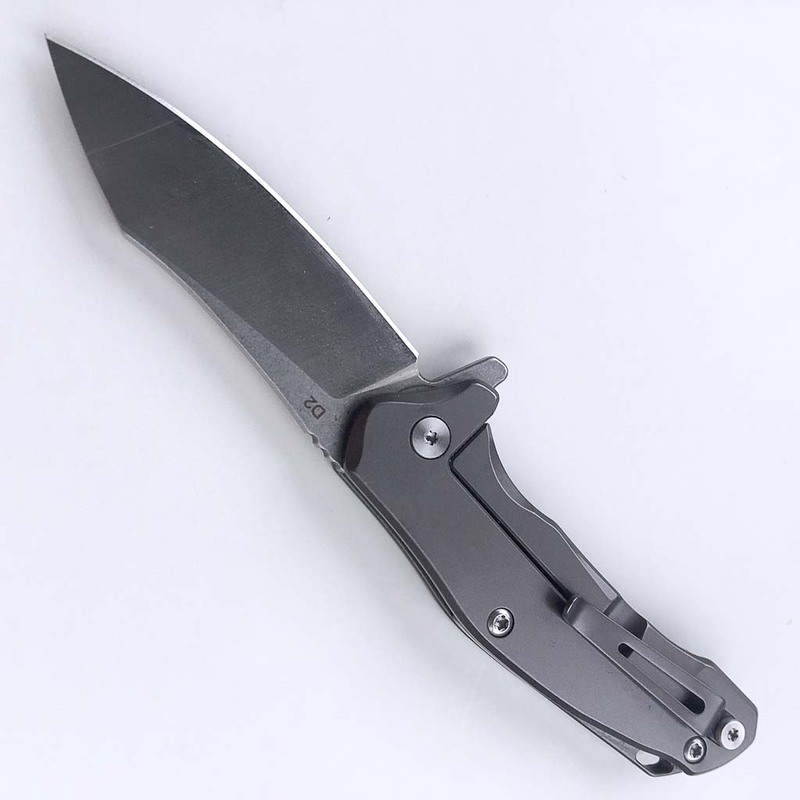 Braza Bro’s blade is quite complex in its feature set. 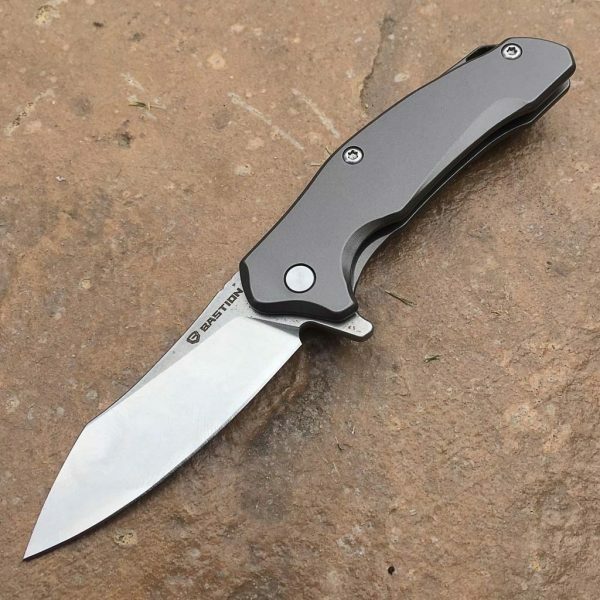 For starters, it is made from heat treated D2 tool steel with a stone washed finish before its edge is ground. 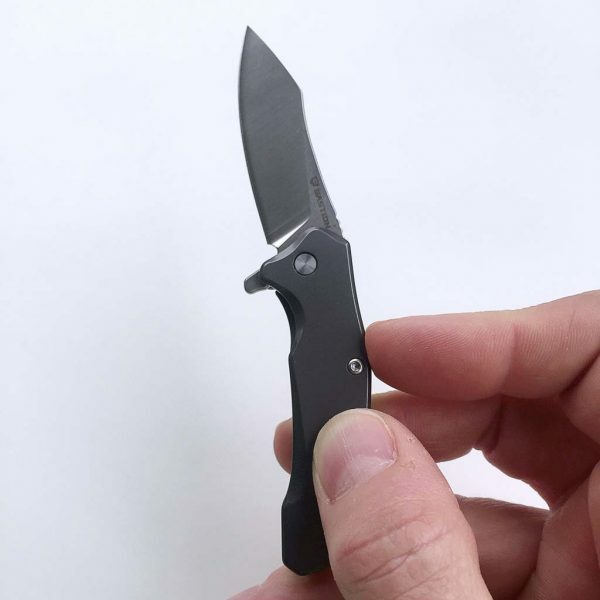 The blade’s tip is a Sheepsfoot Blade Mod Sloping Front which helps with tasks that require more of a sharp tip. 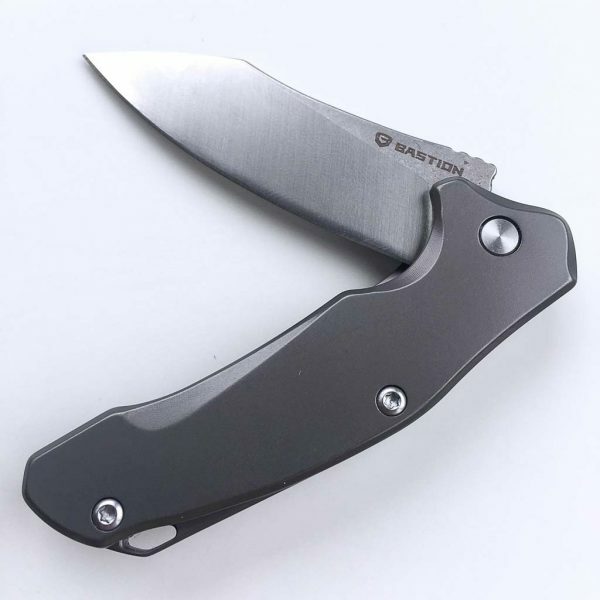 It has a Drop Point Blade Belly (or cutting edge) which is versatile and easier to sharpen. 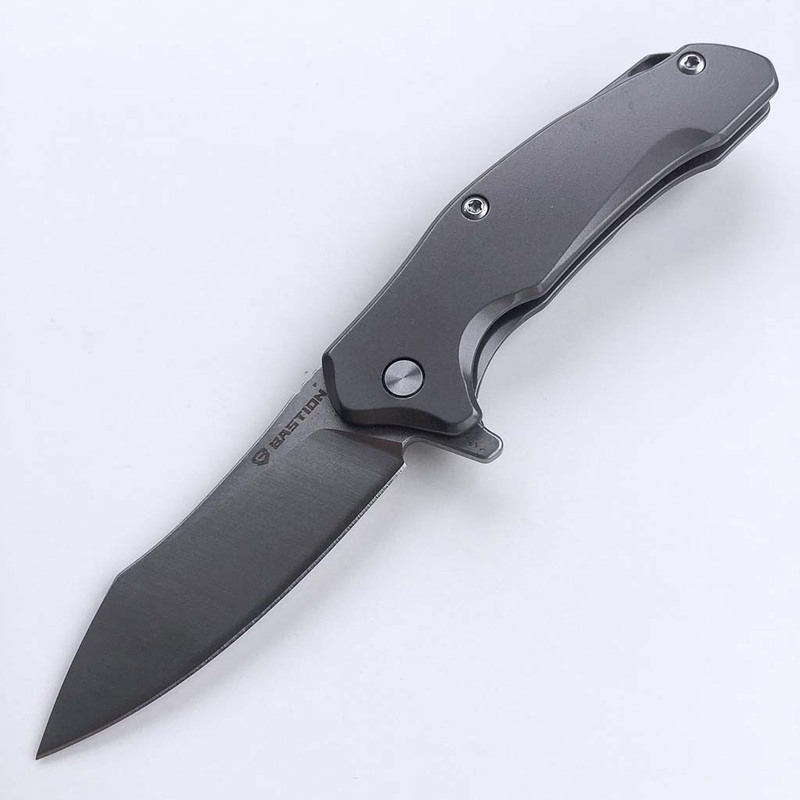 Along the back of the blade is Harpoon Style Blade Spine that can act as a spot for the thumb or forefinger, giving more precise control when cutting. 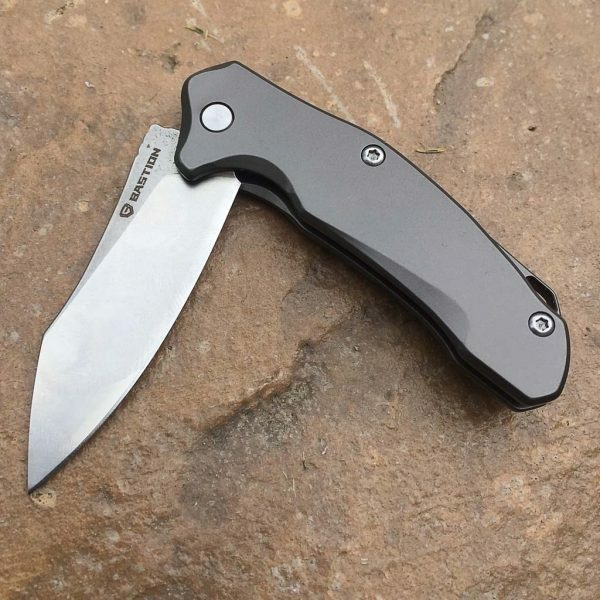 Finally, it includes Tanto Blade Inspired Grind Lines, which give it a more tactical appearance due to having been drawn from the Tanto style heritage. 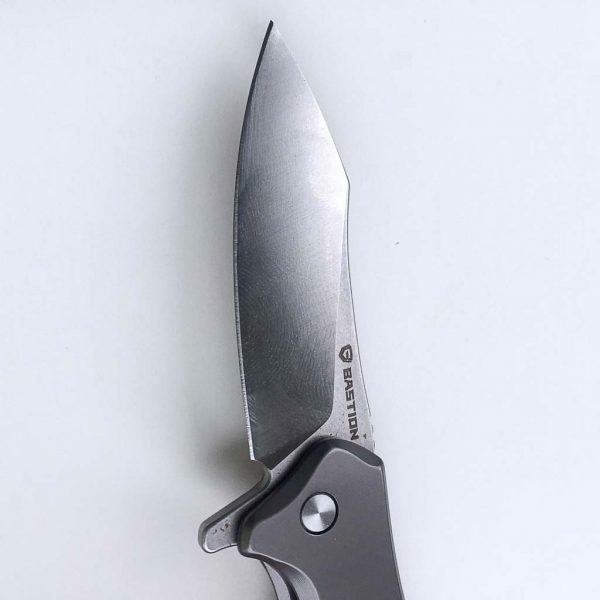 I found the Braza Bro’s blade to cut quite well for most everyday applications, such as opening boxes or letters, cutting loose threads and slicing fruit or other food at my desk at work. 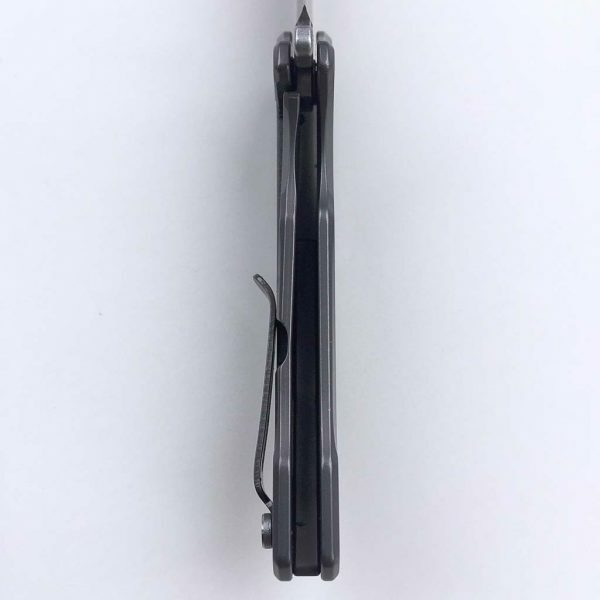 Additionally, the back of the Braza Bro’s blade includes three spine jimping grooves, as seen above, which are a spot that the thumb or forefinger can further utilize to improve grip and control when cutting. 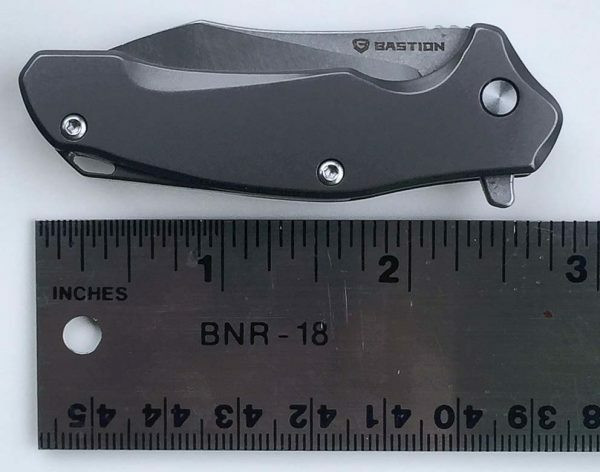 Before we get into functionality, let’s check out the Braza Bro’s size. 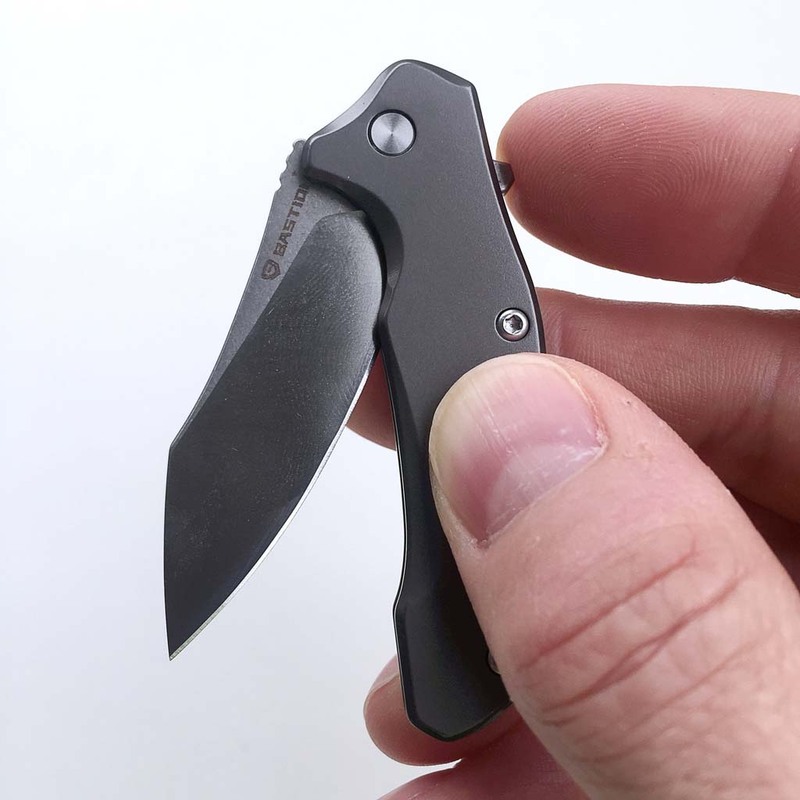 As seen above, it really is a small knife; it is probably as large in the open black position as many other folding knives are in the open position. However, I think that its small size is actually a strength in Braza Bro’s case. 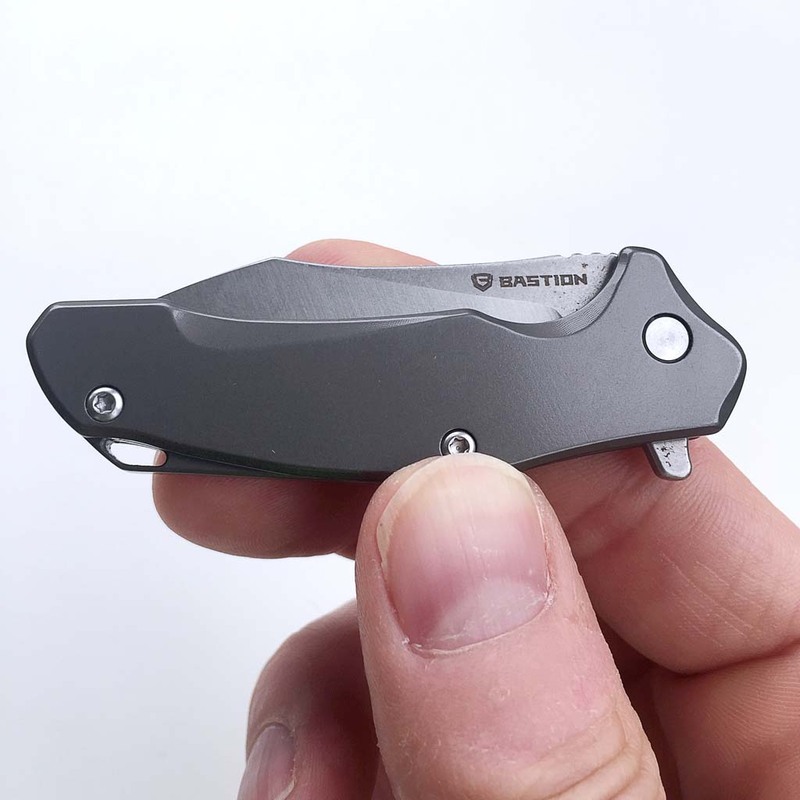 This is because although Braza Bro is indeed small, it is intended to pack a lot of larger knife features and functions into a small package. 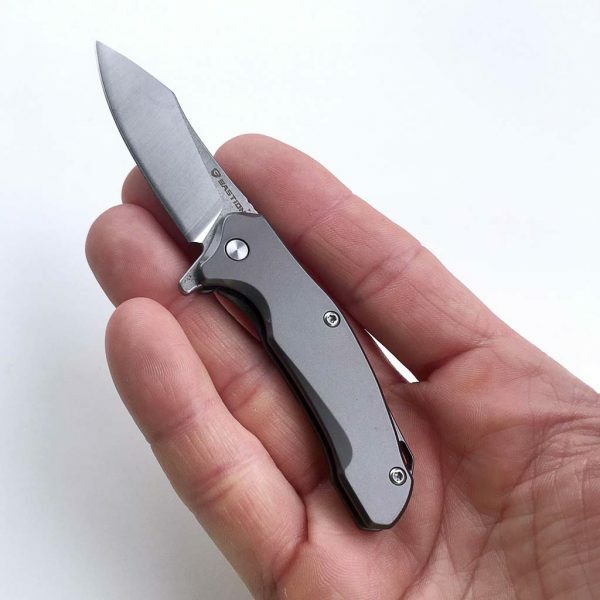 Although I would prefer to be able to carry a larger knife in my EDC kit, it is just not practical for me, mainly because of where I work and what I do (engineered desk jockey). The Braza Bro, however, is darn near perfect for me because of its small size. 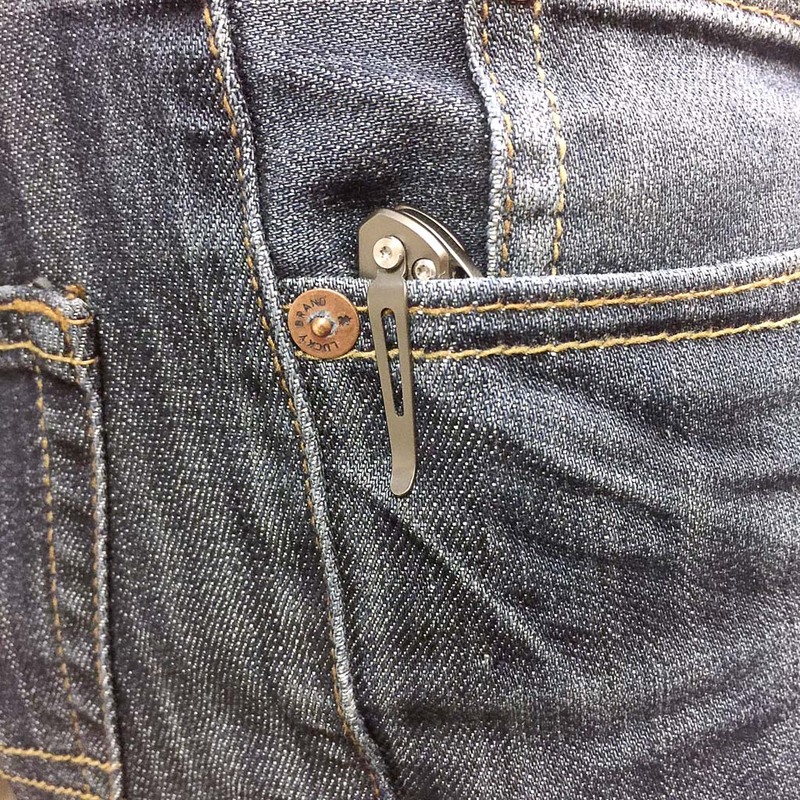 If I want to toss it into the bottom of my pants pocket, no probs. If I want to clip it to the edge of my pocket, not a big deal, because the location of its clip allows the knife to ride low in my pocket without attracting unwanted attention. I measured the Braza Bro to be just shy of 3 inches in length while closed. 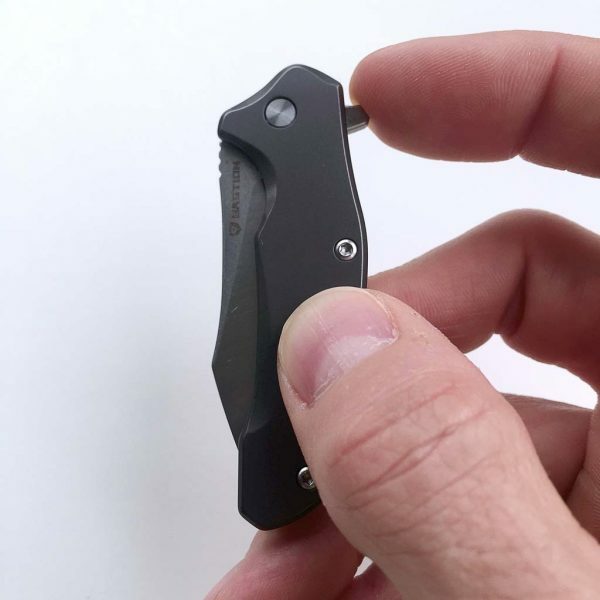 That’s a pretty small knife. I measured the total, fully-opened length of the Braza Bro to be just under 5 inches in length. 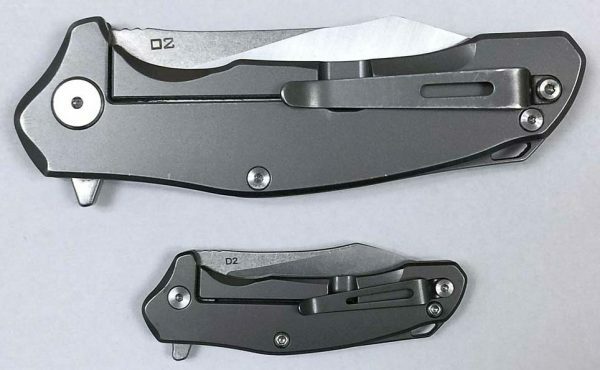 Next, let’s talk about the flipper-style deployment of the Braza Bro. 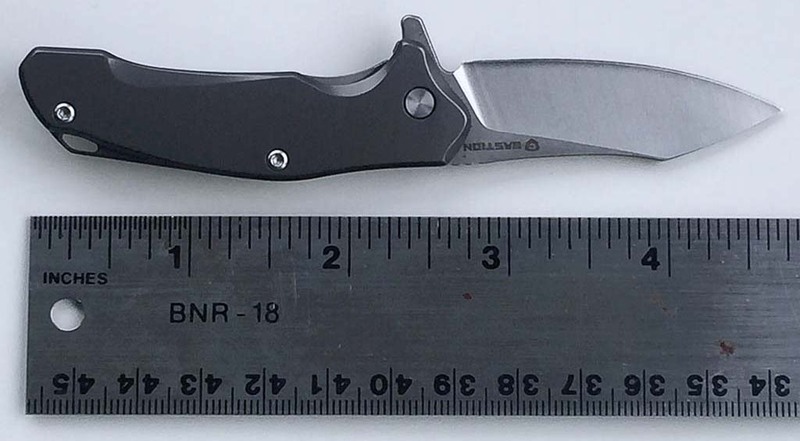 Again, like many cutting edge knives today (pun very much intended), the Braza Bro includes a one-handed, rapid deployment feature, in this case, a “flipper.” The Braza Bro’s flipper utilizes a small nub attached to the back side of the blade that protrudes through the frame when the blade is closed. 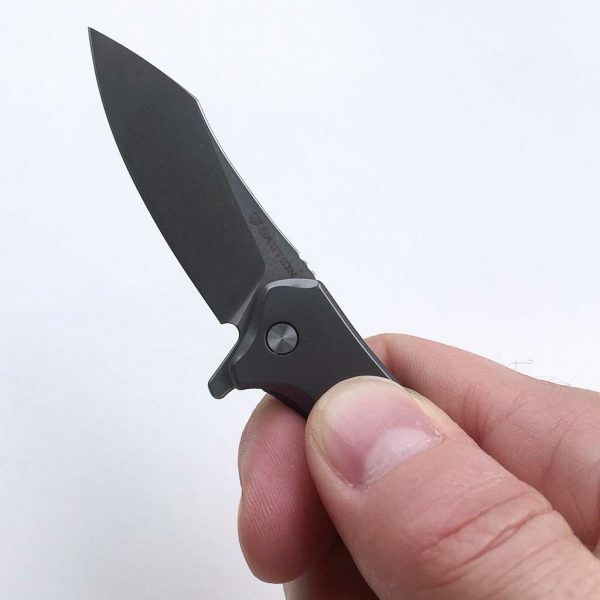 The user places their finger, typically the index finger, on this nub and rapidly flicks the nub downward into the frame, which deploys the black rapidly in a flipping motion. That’s it—no spring, no assist, and not an automatic blade, so it is a manual and generally much safer deployment operation than other knives. The image above and next three below demonstrate this from starting to fully deployed position. The flipping deployment can take a bit of practice to master, but due to Braza Bro’s solid yet smooth Ceramic Ball Bearing Pivot, it generally doesn’t take long and you are flip-deploying like a pro. In fact, my 15-year-old son, who has little experience with flipper-deploying knives, correctly and fully did it on the first try. 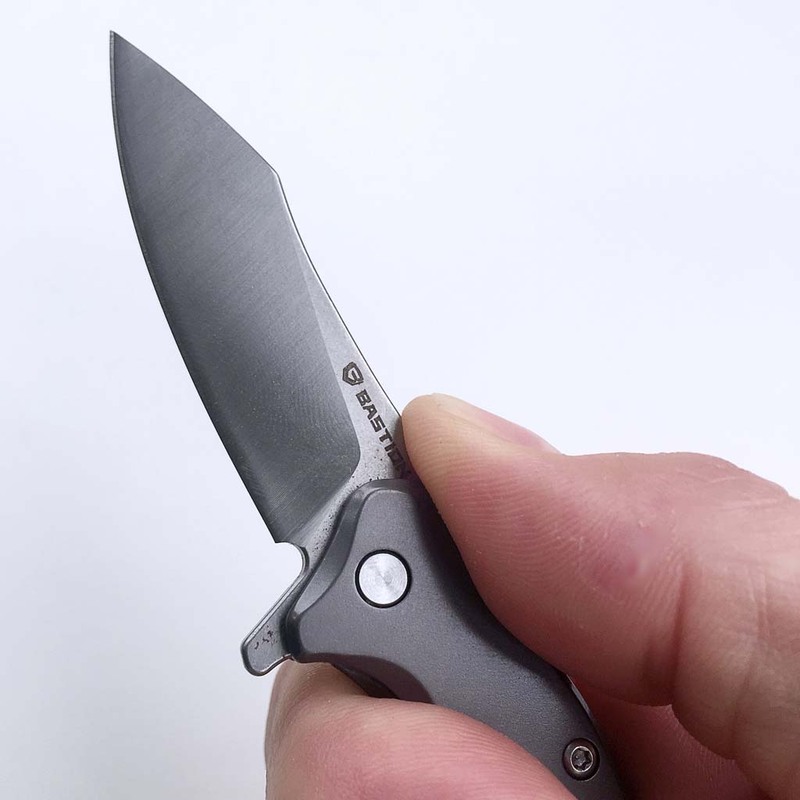 Once the blade has been fully deployed and frame locked, Braza Bro can be held quite securely and comfortably due to its contoured grip which includes a choil or indentation, for the index finger, and your next three fingers fit along the grip’s contour securely. 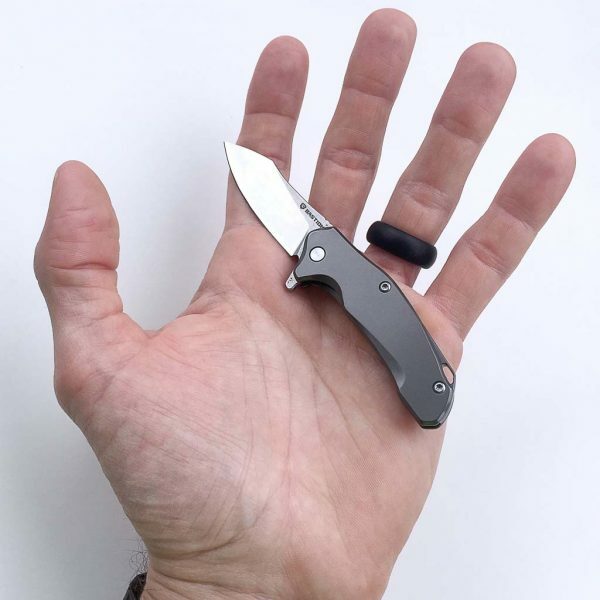 The flipper nub becomes a finger guard for your index finger. 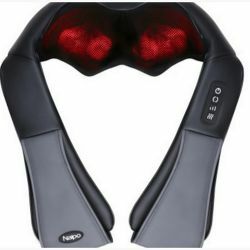 And finally, the three spine jumping notches provide a perfect spot for your thumb to sit and give it extra grip and control. 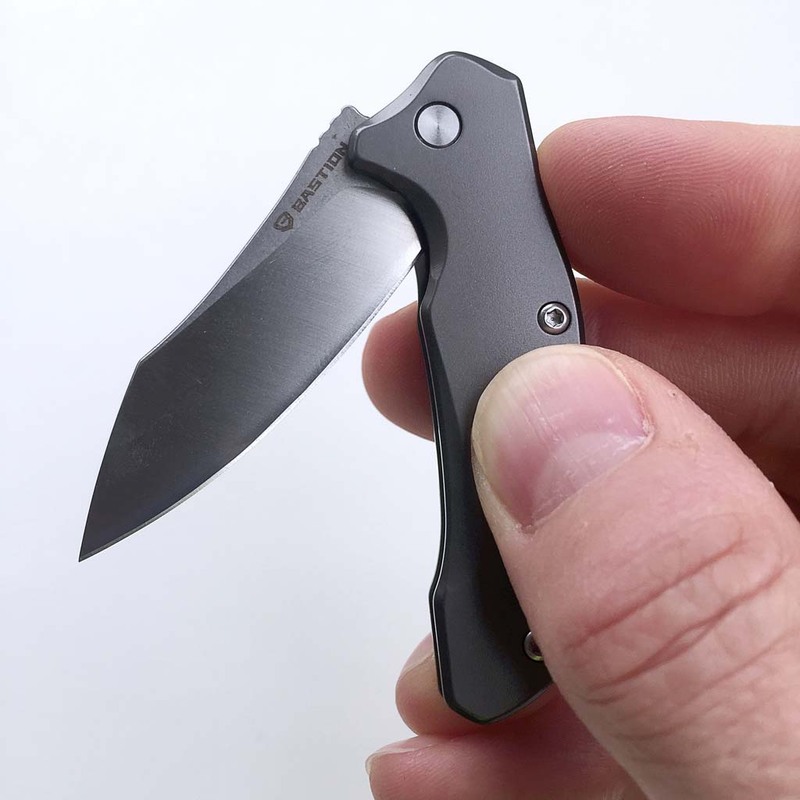 I really like the Braza Bro EDC folding mini-knife. It is packed with many features of larger knives in a very small size, and because of this is perfect for folks like me who can’t practically carry a larger knife in their EDC kit. 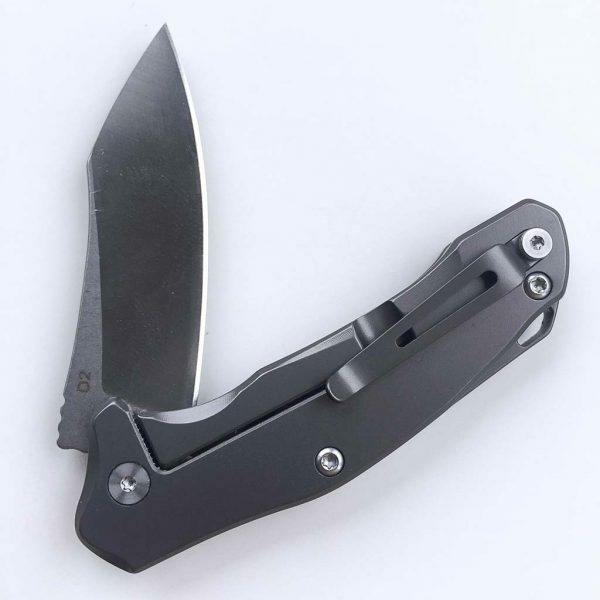 I really like its flip-deploying action and pocket clip, and it just looks cool, which is an important factor as well. 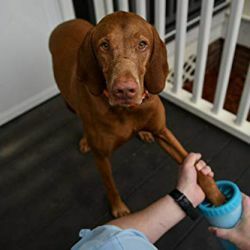 🙂 If you are interested in Braza Bro, you may want to move quickly, because as of this writing, the Braza Bro Kickstarter campaign only has about 10 days left (it ends May 31, 2018). 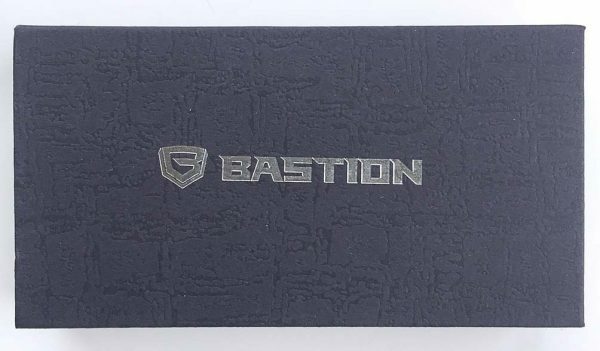 Source: The sample of this product was provided by Bastion via their Braza Bro Kickstarter campaign. 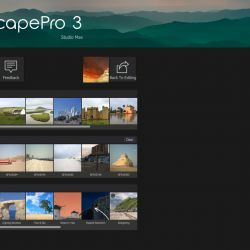 The $34 pledge level is no longer available. 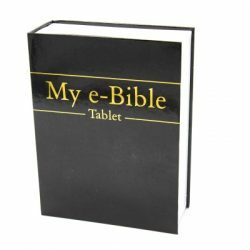 These start at $39. 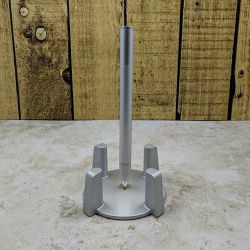 I really, really hate Kickstarter, but this looks like a nice item. Yep, I realize that the $34 pledge level is no longer available, but when I post info related to Kickstarter campaigns, I always post the lowest-priced pledge package whether it is available at that time or not. Then if someone wants to check it out, they can do that and see what the current situation is, but I don’t have to keep adjusting the amount of the available package level in my article every time another package becomes unavailable. There seems to be a deliberate omission regarding the country of origin of this well designed little knife, leading me to believe (as well as the $39 price, a similar Benchmade mini goes for $400), that it must be made in China, a real deal breaker for me. Supporting American manufacturing is important to me, and a Chinese factory can turn a diamond into a dog turd. Hmm…you’re right. 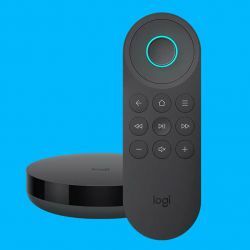 I checked the Kickstarter campaign site and I didn’t see the country of origin listed anywhere. 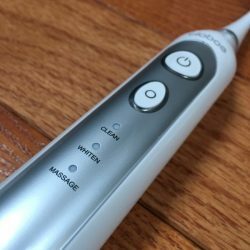 I submitted a question on this; if I get a response I’ll post it here and also edit the review above to include the info.